La Font, perfect for families. Oliver Evans our Product & Operations Director, his wife and daughter (1 yr.) were lucky enough to be the very first guests at La Font this summer. They went with another family for a week to give the villa a good trial run before the first “real” guests. Breath-taking is a much overused word, but the view from La Font could not be described otherwise. 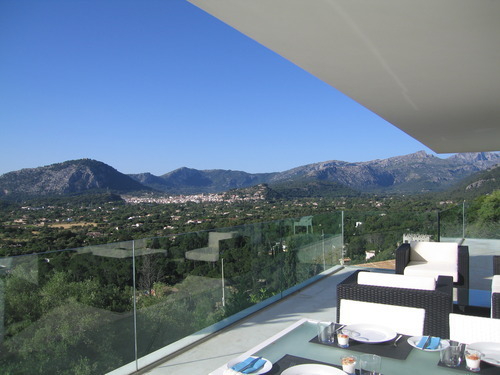 A 180 degree panorama taking in the bay, Pollensa old town and the Tramuntana mountains, we could, and did, spend hours admiring it. The pictures on our website really do not do it justice. The villa is quite small compared to our other properties, notably in terms of garden space, but I don’t think this would be a problem for many. 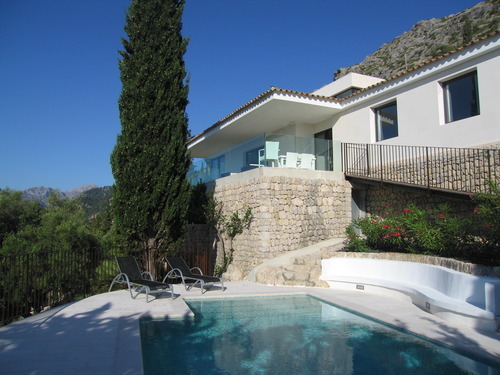 The pool is heated so kids will happily spend hours in it and the beaches of Cala St Vicenc, Pollensa and Formentor are very close. For toddlers the villa works well as all the rooms and terrace are on one level and without steps. Access to the pool is via a ramp which has a gate at the top, and the balcony glass screens are high so little ones can crawl or walk around without needing constant parental supervision. The chef, Rob, is new to Scott Dunn this summer but in his very first week managed to produce beautiful looking food that tasted delicious but also fulfilled our request not to fatten us up! Our nanny, Mandy, was always happy to help out, whether for a trip to the beach or persuading the girls to eat (rather than decorate the dining area with) their tea. 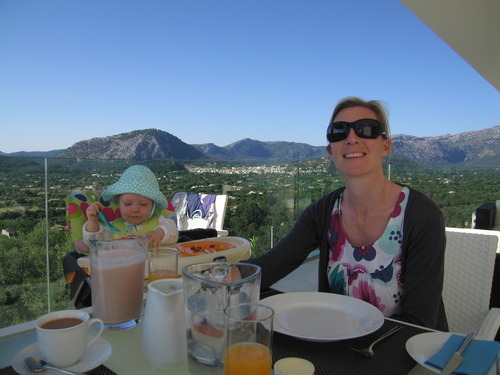 Mallorca as a destination is just so hard to beat for families. A short flight, easy airport transfer and lots to do within easy reach. We visited the beaches, swam in the sea, visited monasteries and wandered the market in delightful Pollensa. Two of us were training for triathlons and Mallorca is a mecca for “Mamils” like us with good reason. We rented bikes (from http://www.procyclehire.com/), swam in the sea and ran many miles. All the while, our other halves barely noticed our absence as they sunbathed and enjoyed the rare opportunity to read a book uninterrupted. Being back in the office is something of a shock to the system!